David Baazov – the primary shareholder and former CEO of Amaya – has made a non-binding bid to acquire the company and take it out of public ownership. Back in February, many industry observers were surprised to learn of David Baazov´s “non-binding intention” to buy-out Amaya´s shareholders and return the company to a private entity. The “intention” was withdrawn the following month when Baazov was charged by Quebec´s security regulator with insider trading. He also stepped down as CEO of the company while the case was being heard. Now, with the likelihood being that he will get away with a slap on the wrist and a modest fine, Baazov has renewed his intention to buy the parent copy of PokerStars and Full Tilt Poker. In a press release issue by Amaya yesterday, it was announced that Baazov has made a non-binding cash offer to buy the common shares he does not already own – around 80% of the company´s stock. Only two snippets of financial information were announced in the press release – that Baazov´s offer consists of CAD$24.00 (USD$17.75) per share and that the offer provides for a USD$200 million deposit into escrow upon execution of a definitive agreement in respect of a potential transaction. The escrow deposit represents around half of the deferred payment due to the Rational Group for the purchase of PokerStars and Full Tilt Poker in July 2014. The offer of CAD$24.00 per share is higher than the CAD$21.00 per share offered in February, but does represent such a high premium on the current share price as before. This is due to Amaya´s stock value increasing recently after positive Q3 results. 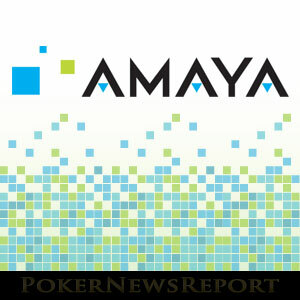 Although the company´s revenue from online poker was down, revenues from other verticals increased substantially, prompting strategists to forecast that there will be further growth in Amaya´s sportsbook and casino activities. A Genuine Offer or More Market Manipulation? The fact that the offer has a prepared structure in place has led many industry observers to believe that background work has already been done to ensure the deal completes. However, there are concerns that the announcement has been timed to artificially bump up Amaya´s stock price. When Baazov first announced his “intention” to buy Amaya in February, stock in the company rose 25%. A high volume of trading since yesterday´s announcement was made has seen Amaya stock increase almost 15% in value. Although the charges of alleged insider trading may soon be resolved favourably from Baazov´s perspective, Amaya is still facing a securities class action lawsuit. The legal action is being brought by investors who claim they were financially disadvantaged by misleading information being released by the company. The investors allege that the misleading information inflated the company´s stock price without justification, causing them to suffer losses when the true facts were known and the stock price subsequently crashed. Hopes that a Baazov takeover might lead to a return of the “old” PokerStars are likely to be unfulfilled. Baazov previously stated his intention to develop the site´s sportsbook and casino activities and, as these are the two primary areas of Amaya´s current growth, the intention is likely to remain the same. This means that the trend of rake increases and reduced rewards will continue to the detriment of online poker players. The only positive outcome of a Baazov takeover is that it will allow PokerStars to continue operating in “grey” areas where publicly owned companies may fear to operate. PokerStars currently provides a service to countries such as Germany, Australia, Russia and South Africa, where the provision of online poker by unlicensed companies is technically illegal. The possibility is that, if Amaya remains a publicly-owned company, it may be forced to withdraw from these markets – suffering an enormous decline in revenues as a result. As ever, you can keep up-to-date with this news story by following PokerNewsReport on Twitter.